Around-the-clock care for your Cat. 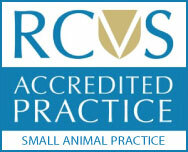 Valley Vets provides an exceptionally high level of expertise and service to treat your cat. If you keep a dog, we have one of the best veterinary services available that offers complete veterinary care for your dog. We offer a comprehensive, caring service to all rabbit owners and are proud to be Practice Members of the Rabbit Welfare Association and Fund. We see and treat rabbits, guinea pigs, rats, chinchillas, mice, hamsters and other small mammals on a daily basis. At Valley Vets we want to make preventative healthcare easy and affordable, to help give your pets the best care possible. Losing a dear pet can be a very traumatic experience, they have been a part of your life and it is natural to grieve for them.